“I’m from Singapore, I want my daughters to be able to learn maths the way I did. It is not just doing the numbers and arithmetic, but also problem solving and critical thinking. My daughters got their grades up within a fairly short span of time; they teach kids to solve problems in a very simple way, they push them to a higher level and challenge them and that’s how they build their confidence to solve even harder problems.” KingJoo, mum to Amber and Lauren. “I like coming to BrainBuilder™ because the questions are fun and hard. I get to work on maths, Maths Olympiad, model drawing and problem solving. When I get it wrong the teachers explain it to me really well.” Jason, Age 11, BrainBuilder™ student for more than two years . 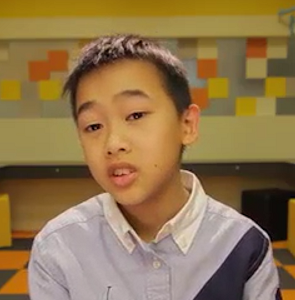 “I’m aware Singapore maths is one of the best education a child can receive. It builds confidence and foundation of mathematics. I want my kids to have a very strong understanding of maths and feel happy with who they are working with. At BrainBuilder™, they have the proper ratio of teachers to students, plus teachers have a very strong passion in what they teach.” Nadine, mother of three.